More about Marimekko Unikko Paloma Full / Queen Duvet Cover Set Maija Isola's 1964 Unikko pattern is a playful one that many fondly remember from their childhood, but here, it's all grown up. 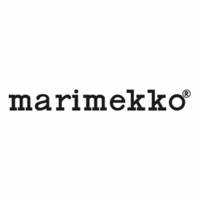 Marimekko's most famous pattern takes the spotlight again, but in chic and sophisticated shades. The poppy petals wear a midnight shade of navy and are contrasted by white centers and plum-brown stems. They bloom across a neutral beige backdrop, which will complement any decor in modern, understated elegance. The 100% cotton percale duvet cover slips seamlessly over your favorite insert and buttons closed. It's just as easy to remove and machine wash whenever you need that freshly-washed bedding feeling.